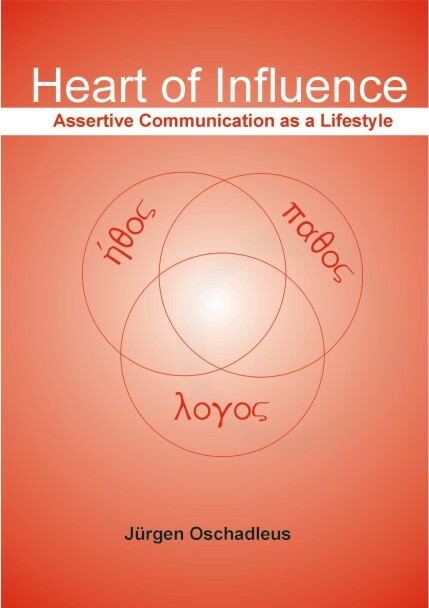 Heart of Influence: Assertive Communication as a Lifestyle (2004) is the first book written by Act Knowledge founder Jürgen Oschadleus. Our communication is like the blood flowing through our veins. A healthy heart distributes life, just as assertive communication enhances quality of life and our ability to bring enduring change. Jürgen shows us how we can live a life of influence, centred on the three cornerstones of persuasion identified by Aristotle over 2 300 years ago: ethos, pathos and logos—character, passion and logic. A heart of influence, meeting the needs and interests of others. A heart of influence, fostering relationships with those around us. A heart of influence, founded on character and integrity. The book retails for AUD 24.95. A free copy of the Introduction is available here. Leadership – Culture eats strategy … – and these 8 cultural dimensions are the reason why, PMI Australia Conference, Gold Coast.